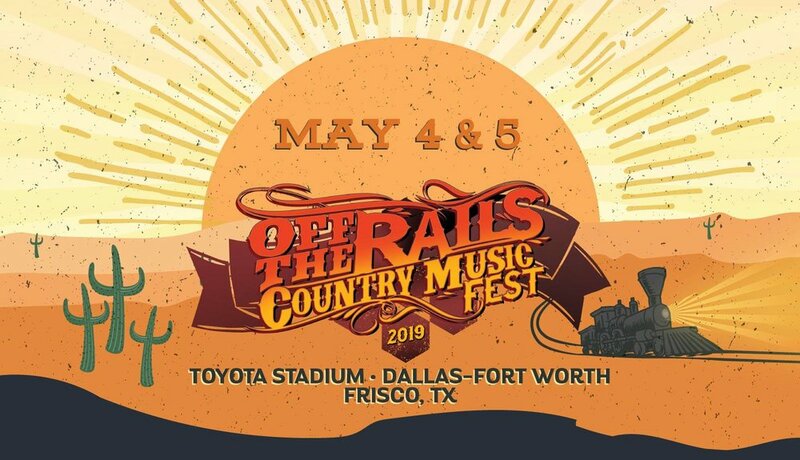 Off The Rails Country Music Fest has just announced the biggest two-day celebration of country music in Dallas Fort Worth for 2019. Artists confirmed for the multi-day country fest include Luke Bryan, Sam Hunt, Luke Combs, Jake Owen, Aaron Watson, Eli Young Band, Craig Morgan, Lauren Alaina, Morgan Evans, Ashley McBryde, Travis Denning, Abby Anderson, Jameson Rodgers, Ray Johnston Band, Harper Grace, Grace Tyler, and DJ Rock. More exciting artists are set to be announced soon. Tickets and VIP packages for Off The Rails Country Music Fest go on-sale Friday, November 16 at 10AM CT.